It�s the dead of night; you are fast asleep. Suddenly, you are wide awake but unable to move. Hunched over you in the shadows is an eight- or nine-foot-tall gaunt entity with spider-thin limbs, dressed in an old-style black suit, its pale face missing eyes, nose, ears, and mouth. You finally manage to cry out. The monstrous thing disappears as suddenly as it appeared. 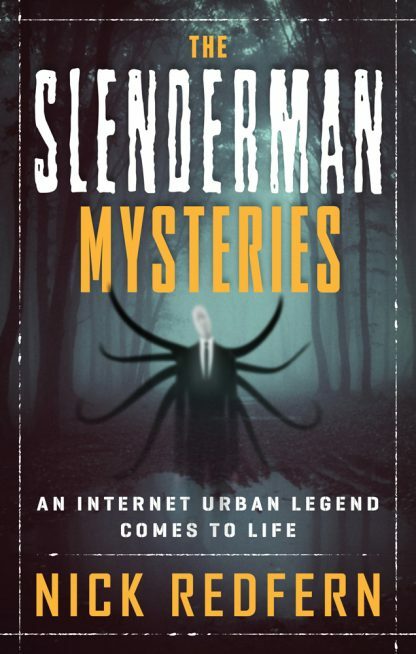 Who�or what�is the Slenderman? His existence began on the Internet, but he didn�t stay online. The Slenderman may be a tulpa, a thought-form that can stride out of our darkest imaginations and into reality if enough people believe in it. In May 2014, two young Milwaukee girls almost killed a friend in the name of the Slenderman. Perhaps, like the vast Skynet system in the Terminator movies, the Internet is turning against us�and attacking us with digital equivalents of our own online nightmares.